The current property market shows a trend of growth in the number of people seeking out sustainable architecture in their future home. With that, new eco-house kitchen designs are often a focal point. Whether you are building a green home or looking for some alternative ways to go green in your current home, there are many ways to help reduce your impact on the environment, save on your utility bills and even add some value to your home – all starting in the kitchen. Our kitchens are home to some of the most used appliances in the home (think refrigerator, dishwasher, and cooking equipment), so it’s worth giving thought to how to go green and minimise their impact without detracting from their purpose. 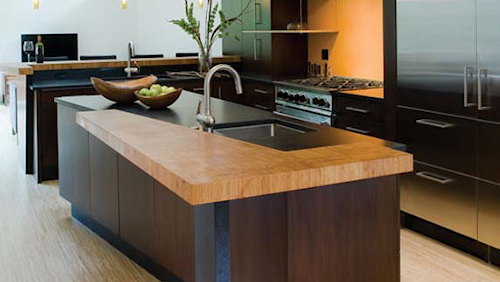 As far as tips for a “greener” kitchen, efficiency ratings are very important. Australian energy star ratings are based on the energy service per unit of energy consumption. For example, in the case of an air conditoner it would refer to the amount of cooling it produces in relation to the energy it consumes in the process. Currently the star ratings range from one star, for the least efficient appliances, to six stars for appliances which rate the most efficient. But as well as these star ratings, there are some other important things to consider. Here are a few of the key items to think about in terms of living green when purchasing kitchen appliances. 1. At buying time, there is always the temptation to go with the cheaper version. Don’t let the lure of a good bargain sway your better judgment. Ultimately, it isn’t going to do your hip pocket any favours. The more efficient (yet perhaps more expensive) model will earn back the extra money you spend, by continuously reducing your utility bills. If it’s a refrigerator for example, it will always be on, so you’ll want the most energy efficient model you can afford. Refrigerators can cost anywhere from $80 a year, to over $900 a year to run, so choose carefully. 2. It’s crucial to consider appropriate sized appliances. If you live in a one or two person home, you won’t need a large dishwasher. A smaller drawer-type dishwasher would be more efficient as well as useable in a situation like this. If, however, you have a large family at home, it would be more logical to have a larger dishwasher. 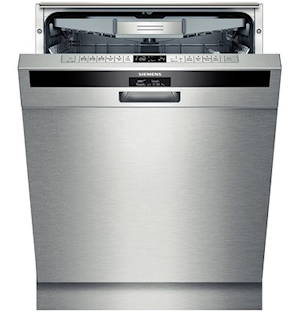 When browsing for a new dishwasher, don’t forget to keep an eye out for models that feature eco-cycles that enable short wash programs that save water. 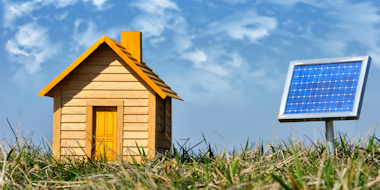 If you are thinking of selling your property in the not-too-distant future, these sorts of appliances that suggest environmentally-friendly living don’t go unnoticed by potential buyers. 3. Another thing to think about is cooking equipment. Unfortunately, at this point in time there is currently no energy rating system for cookers. However, gas has a lower greenhouse gas emissions factor than electricity, so this makes it a cleaner fuel choice. Renewable energy is ideal but if that’s not possible, go with gas. If you have to go with electricity, induction cooktops tend to be more efficient than other electric cooktop models. Look for ovens with high levels of insulation and triple glazed windows for safety. 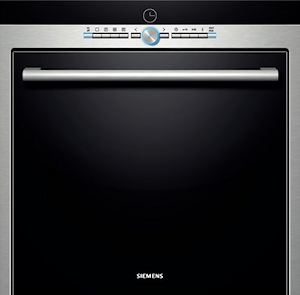 Fan forced ovens are about 30% more efficient than conventional oven units. Don’t forget, portable convection ovens are extremely efficient for cooking. They use around 2/3 the amount of power and cook in half the time. As well as that, there’s also no pre-heating required! These great benefits are definitely worth some consideration. 4. The range hood you choose should be externally vented, self-closing, have a good air-extraction rate and have easily cleanable filters. As with dishwashers, things like range hoods and efficient ovens are great extra selling points for buyers. 5. Quality is very important when selecting appliances for “green kitchens”, as it relates to the longevity of the appliance. This minimises the need to replace the appliance regularly, which in turn saves money and reduces waste in the longer term. There are several highly regarded brands that have good warranties, and now have eco cycles. As well as this, many manufacturers are becoming more conscious of creating products that have a lighter environmental footprint during the manufacturing process. Remember: when buying, always go for the right size appliance for right the job, purchase the most efficient model you can. Get an efficient fridge, and hunt down the appliances with the highest star rating your budget will allow. While you may be paying more initially, the more efficient the appliance, the more money you will save in the long run. Go for quality! Danielle King is the founder and director of Green Moves Australia, a company that focuses on and promotes sustainability in the built environment. She is a highly qualified and accredited sustainability consultant, qualified carbon accountant, and teaches sustainability subjects at Swinburne.